He was just a baby — and could barely breathe! In early September, people living near Tsavo East National Park in Kenya came across a bizarre sight — in the middle of a dam was a strange gray lump. It was a baby elephant. The elephant had fallen in the dam and clearly couldn’t get out on his own. He was lying on his side with his trunk raised above the water’s surface so he could breathe. 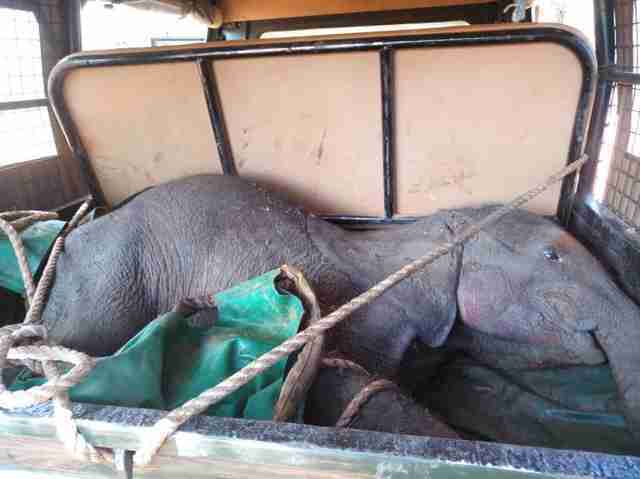 It’s possible the elephant’s family had tried to rescue the baby animal, but they may have been unable to save him, according to Rob Brandford, executive director of The David Sheldrick Wildlife Trust (DSWT), an organization that rescues orphaned elephants, many of whom lost their parents to poaching. 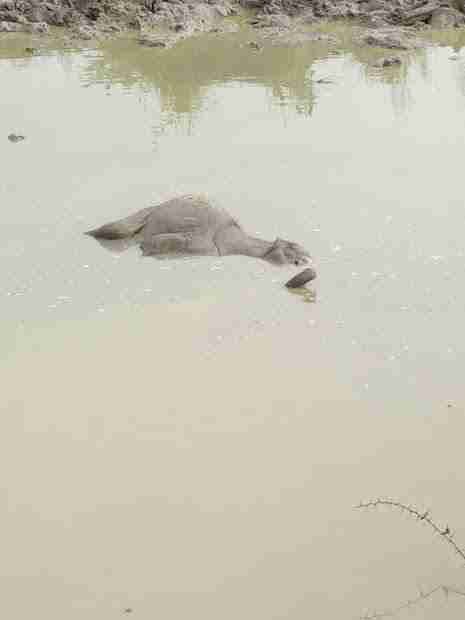 “The conditions surrounding the dam were extremely difficult with slippery mud, and it could be that the herd were simply unable to free the stricken calf in the treacherous mud and gave up, or that their efforts were disturbed and they fled,” Brandford told The Dodo. 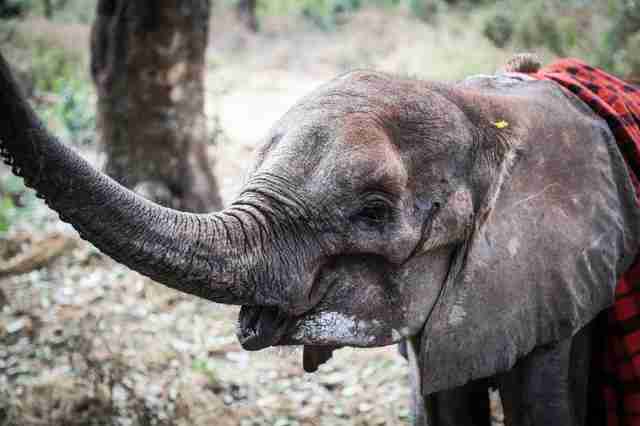 It was actually amazing that the baby elephant, who was only about 18 months old, had managed to survive in the dam at all. 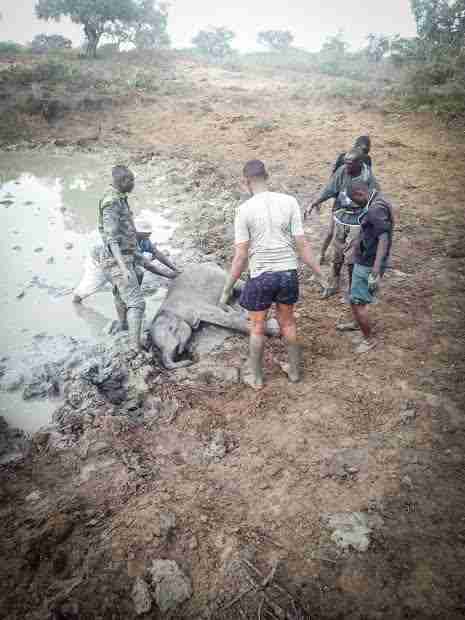 It was clear that the baby elephant wasn’t able to get out of the dam himself, so rangers from the Kenya Wildlife Service (KWS rangers) arrived to help — they removed their uniforms and waded into the water to reach him. Then they gently edged the elephant to the side of the dam, and a team worked to pull the elephant out of the water to safety. The baby, who was later named Dololo, was finally on dry land, but he wasn’t out of trouble — he was still exhausted and sick. The KWS team loaded him onto a Land Cruiser and drove him to their camp. Then they contacted DSWT, which sent vets and keepers in a helicopter to relocate the baby elephant to the intensive care unit at the DSWT nursery. 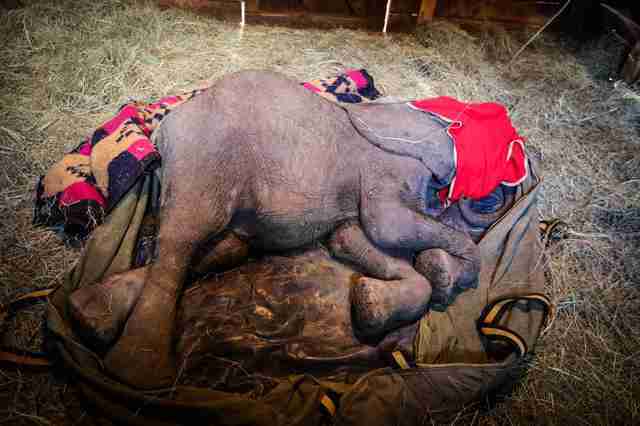 Dololo also appeared to have a strong will to live, the DSWT team observed. 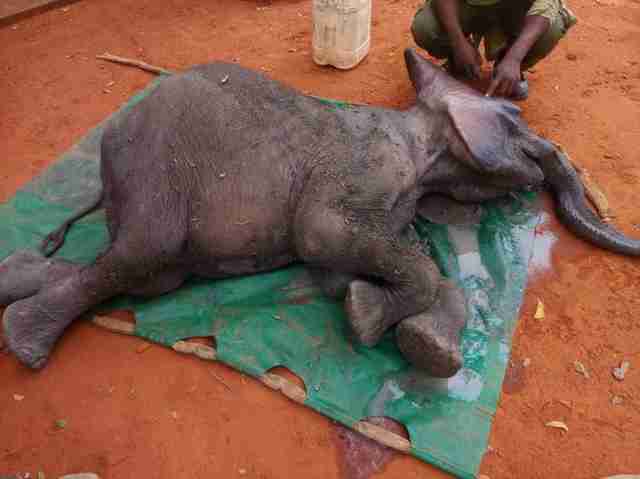 Once Dololo arrived at the DSWT nursery, the team tried to help him to his feet — but Dololo stood on his own. 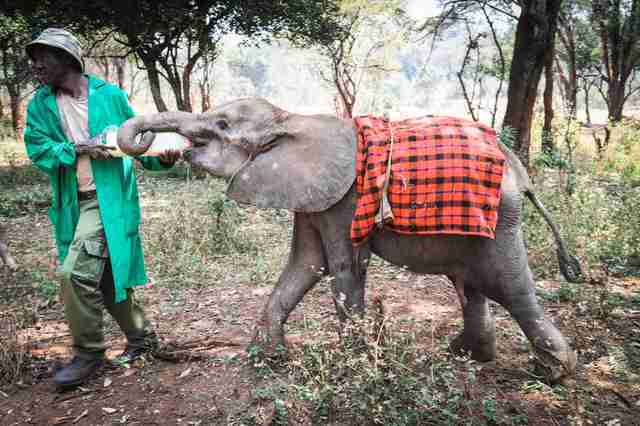 With the loving care of the DSWT keepers and vet team, Dololo slowly regained his health. He eagerly drank from the bottles of milk the keepers offered to him, and ate the fresh greens provided to him each day. Once he was strong enough, Dololo was able to join the larger herd of orphaned elephants who live at the DSWT center. 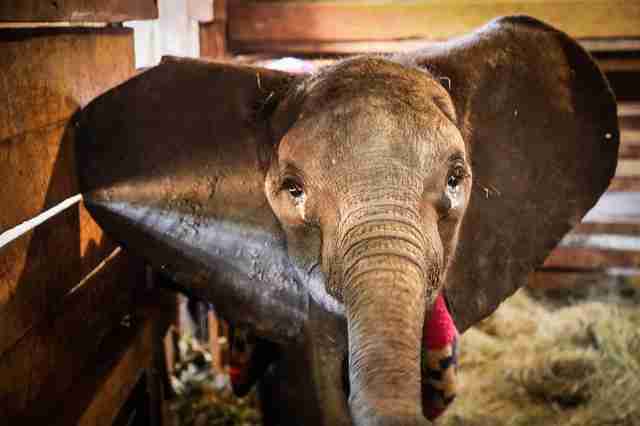 Dololo will remain in the care of DSWT for many years. But once he’s grown up, he’ll be released back into the wild, which is where he truly belongs. To help Dololo continue to grow into a big, strong elephant, and to help other rescued elephants like him, you can make a donation to DSWT.